Providing financial education to workers isn’t free: it requires planning and resources and requires participants to step away from their work. How can you tell if it is working? In the recent International Foundation report Financial Education for Today’s Workforce: 2018 Survey Results, only 3% of polled organizations are measuring the return on their financial education initiatives. But don’t let that stop you. 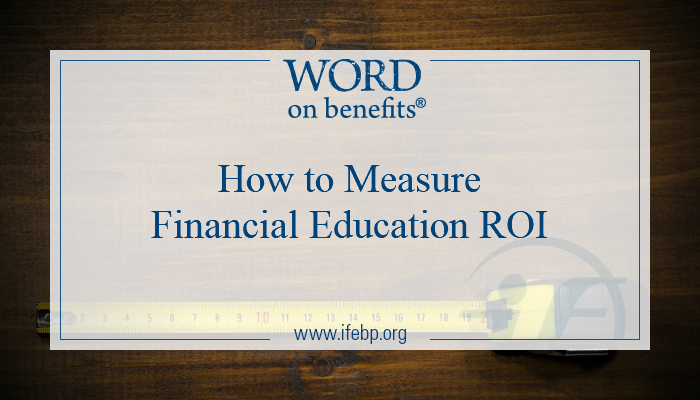 There are some simple steps you can take to quantify financial education ROI. Survey your workers prior to implementing your financial education to learn their pain points and basic level of financial literacy. Increase the percentage of workers contributing to their retirement account by 5%. Aim to have 50% of all participants take advantage of matching benefit. Decrease the percentage of workers who self-report as “extremely stressed” about financial matters on self-assessment by 10 percentage points. Increase retirement class attendance by 20% compared with last year. Go for it! Create catchy e-mail invitations and roll out your initiative! Conduct your followup survey and evaluate contribution levels. You might not be able to see a difference after a day. Not everybody will run back to their desk and immediately adjust their contribution rates. 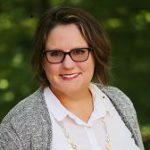 In fact, you may even need to post followup reminders so the training stays top-of-mind. Once you are able to measure the new numbers, benchmark your results to your pretraining numbers. Be sure to review any comments that participants shared about the training. How did it go? What went right? What could be changed for next time? Change doesn’t happen overnight. Adjusting spending habits is tough. But with consistent messages over time, hopefully you will see positive changes. What has your company done to promote financial literacy? What has worked? What hasn’t? Share your experiences in the comments below!